When you experience the loss of a loved one, you can trust us to guide you through the arrangements necessary to create a meaningful ceremony that celebrates the unique life being honored. Hillside Memorial Park and Mortuary welcomes visitors. The park’s landscaped gardens and quiet courtyards offer visitors a chance to remember and honor a loved one, meditate or pay their respects to someone who has passed away. The park is closed for visitation every Saturday in observance of Shabbat as well as the Jewish holidays of Rosh Hashanah, Yom Kippur, Sukkot, Shemini Atzeret, and the first and seventh days of Passover. Should you have any questions, Hillside staff members will be glad to assist you. 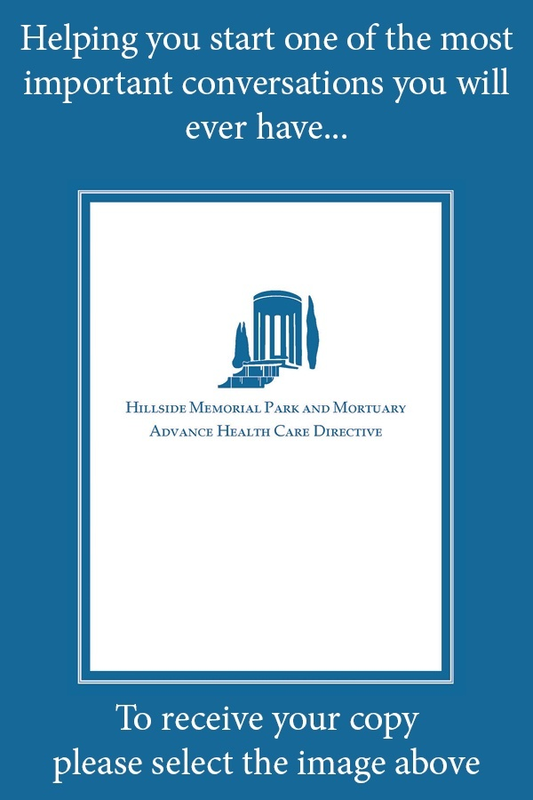 Hillside Memorial Park features a full-service mortuary, offering a wide variety of services to help families create a unique funeral or memorial service for your loved one. Learn how advance planning can provide you and your family with peace of mind; allowing you the time to design meaningful arrangements in accordance with your wishes. We have provided a list of answers to questions frequently received regarding our services. Please reach out to us with questions, comments, suggestions, or to arrange a meeting with one of our experienced professionals.